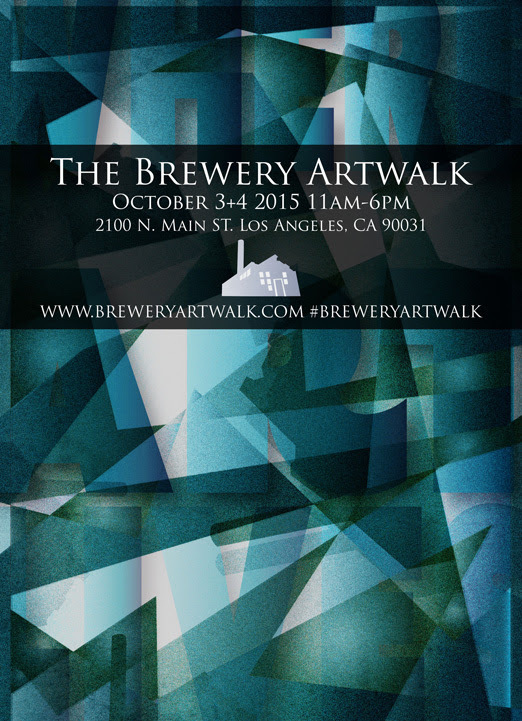 Fall Brewery Artwalk is Coming :: October 3 + 4, 2015 – Save the date! SAVE THE DATE! – The 34th Anniversary Brewery Artwalk is October 3 + 4 at the largest active arts community in the world. Enjoy FREE ADMISSION to one of the most unique cultural events in Los Angeles. NOTE: Due to our immense popularity and increasing number of visitors (… as well as significant feedback from our friends) – we are making parking and access a top priority for the upcoming Artwalk! Watch our email notifications and Facebook page for updated information. The Brewery Artwalk Association is a non profit organization staffed by LA Brewery artists and volunteers. Our primary focus is the promotion of Brewery artists through the twice annual LA Brewery Artwalk and to support arts and culture in Los Angeles in general. If you are like many, your Windows 7, 8, or 8.1 is not upgrading as you expected. This free upgrade which you are allowed to take advantage for one year is supposed to have been released yesterday July 29, 2015. If you click the “Get Windows 10” icon in your system tray it should alert you to start the install. Which appears after the download is complete and then the installation is starting. If you repeat the steps below, some users have been able to install, but it does appear to be an issue. There’s nothing you to do right now. You’ll get a notification on your PC or tablet when the Windows 10 is ready to install. So how do you force the Windows 10 upgrade, as Microsoft is rolling out Windows 10 in waves, which means it could be weeks before you are able to download the new operating system. 1. Launch the hard drive which houses your Windows operating system. This is usually the C: drive. 2. Navigate to C:WindowsSoftwareDistributionDownload and delete all the files within the Download folder. This should give you a clean start with Windows Update. 3. Open up the Windows Update app by hitting the Windows key and simply searching for “Windows Update”. Hit enter to launch the app. 4. While Windows Update loads, open the command prompt by hitting the Windows key again and searching for “cmd“. 6. Once the windows opens, type – but do not hit return – “wuauclt.exe /updatenow” (but without the speech marks). 7. Back to the Windows Update window, click on the “Check for Updates” button in the menu on the left-hand side, beneath Control Panel Home. 9. While this loads – quickly navigate back the command prompt window and hit enter on the command you typed in earlier. 10. Now Windows Update should tell you that Windows 10 is available and that the installer is being downloaded. There are reports that Microsoft has disabled this from working. Walter Palmer allegedly shot Cecil with an arrow but failed to kill him. He tracked Cecil for 40 hours and shot him to death with a gun, officials said. Cecil was skinned and beheaded, officials said. His head has not been found. THIS IS THE LETTER THAT WALTER PALMER ISSUED TO HIS DENTAL PATIENTS, OBTAINED BY KSTP-TV IN MINNEAPOLIS/ST. PAUL. In addition to spending time with my family, one of my passions outside dentistry is hunting. I’ve been a life-long hunter since I was a child growing up in North Dakota. I don’t often talk about hunting with my patients because it can be a divisive and emotionally charged topic. I understand and respect that not everyone shares the same views on hunting. In early July, I was in Zimbabwe on a bow hunting trip for big game. I hired several professional guides and they secured all proper permits. To my knowledge, everything about this trip was legal and properly handled and conducted. I had no idea that the lion I took was a known, local favorite, was collared and part of a study until the end of the hunt. I relied on the expertise of my local professional guides to ensure a legal hunt. I have not been contacted by authorities in Zimbabwe or in the U.S. about this situation, but will assist them in any inquiries they may have. Again, I deeply regret that my pursuit of an activity I love and practice responsibly and legally resulted in the taking of this lion. That was never my intention. The media interest in this matter – along with a substantial number of comments and calls from people who are angered by this situation and by the practice of hunting in general – has disrupted our business and our ability to see our patients. For that disruption, I apologize profoundly for this inconvenience and promise you that we will do our best to resume normal operations as soon as possible. We are working to have patients with immediate needs referred to other dentists and will keep you informed of any additional developments. On behalf of all of us at River Bluff Dental, thank you for your support. Family-Friendly Fest with Live Entertainment! Head just a few miles east of LA for the California Beer Festival at the beautiful Frank G. Bonelli Park in San Dimas on Sunday, September 13. The Sunday funday portion of the weekend celebration will feature CBF’s Hamburger & Hops Music Festival, with live entertainment from several tribute bands, including headliner Foreverland — a 14-piece tribute to Michael Jackson. Curb your appetite with gourmet burgers and wash it all down with beers crafted by award-winning breweries from around the area that make this event such a draw. LA Weekly is excited to announce a new signature event, Brunch at the Races, to their arsenal of annual food extravaganzas! Join us Sunday, October 18th, from 11am–2pm for a delicious and fun-filled day at the track. Take in a horse race at the legendary Santa Anita Park while enjoying signature brunch bites from over 30 of LA’s hottest restaurants and cocktail samples from our partners. Curated by LA Weekly’s own award-winning restaurant critic Besha Rodell and food editor Sarah Bennett, this event will feature brunch bites from some of the city’s best including: Poppy Cake Baking Co., Cassell’s Hamburgers, Status Kuo, G&B Coffee, Olive & Thyme, Semisweet Bakery and Red Bread with more to come. Event sponsors Stella Artois, Beam – Suntory, DRY Sparkling, Califia Farms, Diabolo and Soleil Mimosa will be on site as well sampling signature brunch cocktails. We are excited to offer you this exclusive presale opportunity to buy tickets before they go on sale to the general public! LA Weekly presents Brunch at the Races feature 30+ of LA’s best brunch spots! Go bananas on the scenic grounds at the Port of Hueneme at the 4th Annual Banana Festival! Experience the inter-working of the Port with tours, educational displays, all while enjoying one of the Port’s largest imports – Bananas! What FREE bananas plus Water & Land Port Tours and SEABEE DIVE TANK demonstrations, K9 demos , and Banana Art! – FREE community event thanks to the generous support of our Sponsors! The average American eats 27 pounds of bananas a year. Join thousands of animal lovers and their canine companions on Sunday, September 27, 2015 from 8 a.m. to 1 p.m. for the Pasadena Humane Society & SPCA’s 16th Annual Wiggle Waggle Walk – a community fundraiser for animals! The walk is the shelter’s biggest fundraising event of the year because of committed and caring people just like you! With your help, we hope to raise $400,000 to provide care for the thousands of animals that come to our shelter annually. The Wiggle Waggle Walk Pet Expo featuring a variety of pet products, free samples, K-9 demonstrations, food trucks and canine contests will take place immediately following the walk. Registration is free and fundraising is encouraged! Your efforts help provide quality food, safe shelter, and veterinary care for the 12,000 animals the Pasadena Humane Society & SPCA cares for every year. Register today at www.wigglewagglewalk.org or call 626-792-7151 ext.167. Every ticket purchased online includes a CD of David Gilmour’s new album “Rattle That Lock” available 9/18/15. Produced by Andrew Heweitt & Bill Silva Presents. Update: The date has been changed from Oct 9 to Oct 10. Between the U.S. and Mexico for a spot in the Confederations Cup will be held Oct. 10 at the Rose Bowl. This is a Friday evening which is typically the busiest committing day of the week. Saturday, Oct. 10 at the Rose Bowl. Kickoff is scheduled for 6 p.m.
CONCACAF said the date for the game was changed to allow for a daylong Futbol Fiesta — a free, interactive fan zone — in conjunction with the game. Tickets to each confederation for sale to official supporter groups. Tickets public sale will begin in September. Taking place every two years, the CONCACAF Gold Cup is the official national team championship of the region, routinely drawing capacity crowds and millions of television viewers across the region. Promoter of the event Soccer United Marketing. Join us for a GRAND OPENING Celebration at our newest location in Pasadena! We are so excited to have FREE drinks from 7am – 12pm. Hope to see you there. 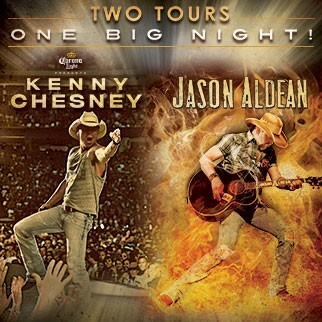 Drumroll please… Tickets are on sale now! The big day is Saturday, October 17th! The 5th Annual Taste of Mexico Food Festival & MERCADO is coming and trust us, it’s going to blow you away. Don’t forget to use the early bird fan code (TOMFAN15) and save $10 off any ticket. SOUTHERN CALIFORNIA’S TOP MEXICAN RESTAURANTS & CHEFS! Sample gourmet dishes from restaurants, chefs, food trucks and more! Sip handcrafted cocktails from top tequila and mezcal mixioligists, agua fresca, Mexican beer and more! Access to our Taste of Mexico Mercado, a one day market showcasing Los Angeles’ finest local, artisanal edibles, home goods and apparel. Live entertainment by LA’s most acclaimed cumbia, mariachi and contemporary artists! GET YOUR TICKETS HERE ON EVENTBRITE! VIP entry: dedicated entrance, early tastings, beat the crowds! As The Taste of Mexico Association grew, so did our celebration. We held our SOLD OUT 4th Annual Food & Culture Festival in the beautiful courtyard of downtown’s LA Plaza de Cultura y Artes, LA’s dedicated museum to Mexican American history and culture. Taste of Mexico partnered with 31 corporate sponsors and welcomed over 5,500 attendees to a SOLD-OUT event to the city’s premier celebration of Mexican cuisine and culture. The event was officially inaugurated by the the Consul General of Mexico in Los Angeles, Carlos Sada. Patrons enjoyed unlimted tastings from 30 of LA’s top Mexican restaurants, ultra-premium tequila and mezcal, Montejo beer, Baja California wines, and premium cocktails, while enjoying live musical performances by Apoco No! (of Chicano Batman & Viento Callejero). This 2015 is no different. We have extended the layout of our 5th annual celebration into the new adjacent Metro Explanade to expand our evening celebration and the debut of our Taste of Mexico Mercado, a one day market showcasing Los Angeles’ finest local, artisanal edibles, home goods and apparel. The Taste of Mexico Mercado will take place as part of the Taste of Mexico festival and will be located on the new Metro Explanade adjacent to the venue. 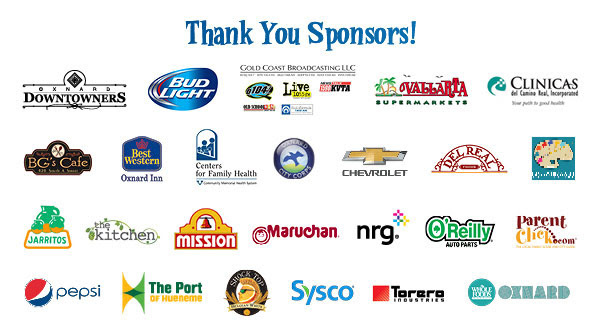 All tickets include unlimited food tastings from all participating restaurants and participating sponsors. Access to all-you-can-drink in our Tequila Bar, Mezcaleria, Michelada Beer Gardens and The Taste of Mexico Mercado, where you will be able to shop and support local artists. Get your tickets early, we sell out every year. See you there! I.D. check requiered for entry, don’t forget yours! VIP Admission begins at 6pm. General Admission begins at 7pm. No GA ticket holders will be admitted prior to 7p. Tickets do not need to be printed. Tickets can be scanned from your smart phone. Last call is at 10:15p. 5:15p-6:00p is a vendor refresh period between VIP and GA. We encourage our VIP guests to enjoy the field and entertainment during this time. Tickets are transferrable between attendees. Discounts can NOT be applied after purchase. Tickets are available online only. No tickets are sold at the door when the event is sold out. Event is rain or shine. Participating vendors and sponsors are subject to change. 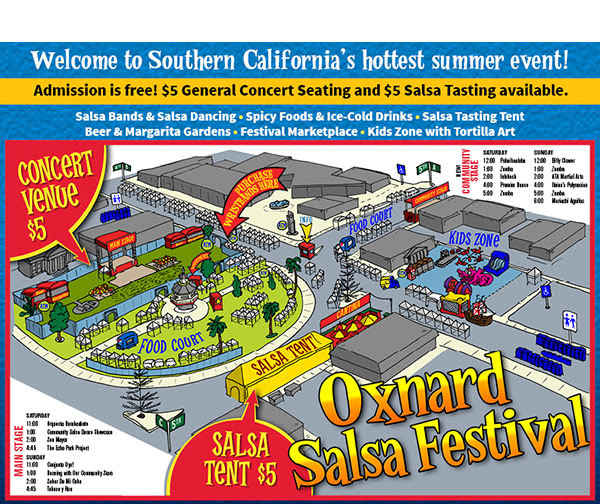 The 22nd Annual Oxnard Salsa Festival is THIS WEEKEND! Live Spicy! Eat Spicy! The Oxnard Salsa Festival is a celebration of all things salsa – food, music and dance – and a place where salsa (the sauce!) reigns supreme. Under the big-top Salsa Tasting Tent, you’ll find fifty different flavors of salsa to sample and buy. From fresh and fruity, sweet and smoky, to mild and scorching hot. It’s the region’s biggest salsa bar! Admission to the Salsa Tent is $5 per person and includes a bag of fresh Mission tortilla chips and ten tasting tickets. Spice up your life at the Oxnard Salsa Festival. And enjoy great salsa all summer long by visiting the restaurants and gourmet grocers featured. Desert Smoke BBQ Dippin’ – Moppin’ BBQ Sauces – Sweet & Spicy, Raspberry Chipotle, Pineapple Habanero, Habanero Peach, Hatch Green Chile, Cascabella, Ghost Chile, Scorpion, Ghost Chile, 7-Pot, and more! Visit these downtown restaurants serving at the Festival: BG’s Cafe, El Oaxaco and Sabor. Your family and friends RAVE about your homemade salsa, but do you have what it takes to be the best of the best? We think you do! Take the challenge and enter to win the Great Oxnard Salsa Challenge – Amateur Division recipe competition taking place on Sunday, July 26 during the 22nd Annual Oxnard Salsa Festival! Take the challenge and enter to win the Great Oxnard Salsa Challenge 2015 taking place on Sunday, July 26 at the Oxnard Salsa Festival! Presented by the Oxnard Salsa Festival and the kitchen restaurant in downtown Oxnard, amateur salsa chefs are invited to compete to win! The contest is limited to 50 salsas and pre-registration is required. The entry fee is $25 per salsa and includes one souvenir t-shirt per entry. Entry forms are due by Friday, July 10, 2015. Winning salsas will be selected in several categories including Best Red, Best Green, Best Fruit, Best Mild, Best Medium, and Best Hot. The Judge’s Choice Winner (the best of the best!) will be awarded with a $100 cash prize from the Oxnard Salsa Festival. First place category winners receive a Festival ‘goodie bag’ and a $30 restaurant gift certificate from the kitchen eatery, which was featured on ‘Diners, Drive-ins & Dives’ with Guy Fieri, on the Food Network. The Pasadena ARTWalk is Pasadena’s largest urban art fair with over 5,000 people attending yearly. The event highlights some of the best Southern Californian visual artists showcasing their work in painting, sculpture, watercolor, photography, mixed media, ceramics, jewelry, drawings, and printmaking. ARTWalk is free and all-ages are welcome. Download the application by clicking HERE. Deadline for #Pasadena #ARTWalk is Fri. 7/24! Apply at https://www.playhousedistrict.org/artwalk ! TuneCore has always been about supporting the independent artist in their pursuit of success. In that spirit, we’re announcing the inaugural TuneCore Indie Artist Forum. This isn’t your typical music conference; it’s an opportunity for artists and industry representatives alike to have straightforward, tactical discussions about the daily reality of being an artist in today’s music industry landscape. There will be no cost to the artists that get one of the 200 available slots. Space is limited; interested parties must sign up for a chance to be selected by lottery for admittance. For any artist traveling to Holywood, we will have hotel options available at a discounted rate. Kenny Chesney has covered a lot of ground – and he believes he’s got a lot more ground to go. The triple and reigning Academy of Country Music and two time and current Country Music Association Entertainer of the Year sold more tickets in North America than anyone last year, played football stadiums and sang the songs that capture the way the people of the fly-over live their lives, dream their dreams and feel the moments that define them. Just Who I Am: Poets & Pirates is in many ways Chesney’s most intimate album to date. Still marked by the high jinks and good-time revelry he’s known for the tropical feeling morning-after introduction of “Got a Little Crazy,” the shimmering, wide-open embrace of being young and free of “Just Not Today” – but the musical synthesis and emotional openness could’ve only come from a life lived in, around, making and loving music. Certainly one need only listen to the halting apology of a man who knows he’s built to fade, “Better as a Memory,” to hear both the nakedness of knowing one’s limit and recognizing sometimes the kindest thing to do is not get carried away in the emotion or the moment. “The more people I get to see in front of me – whether it’s at a football stadium or a funky little bar like the Hog’s Breath in Key West – the more I realize how much we all have in common. There are a lot of people punching a clock or having too much on their plate, a buncha people on their first date, with that nervousness and excitement that they’re really there…we all want the same things, all hope for the same stuff and I feel like pretty much worry about the same stuff, too. FanFest for the @LAGalaxy @FCBarcelona game begins at 2pm in Lot H. Enjoy food, games, and plenty of entertainment! Mid Week Sold Out Match – Arrive Early or Risk Missing the match. Fans arriving to the Rose Bowl Stadium early can enjoy the International Champions Cup FanFest, which will feature food, beverage, interactive activities and music. Prior to 5pm Parking is only $15, normally $30. Tickets for the contest at the Rose Bowl Stadium are available at www.ticketmaster.com. For more information on the FC Barcelona and LA Galaxy game, or other International Champions Cup matches, visit www.internationalchampionscup.com. Tickets are on sale now and can be purchased through Ticketmaster. California Gov. Jerry Brown signed a bill legalizing beer tasting at farmers markets. Making markets in the nation’s agricultural heartland more booze-friendly. Craft brew sales are permitted at farmers’ markets under legislation Brown signed last year. AB774 by Democratic Assemblyman Marc Levine of San Rafael will allow vendors to offer samples as well. Farmers markets are staying dry this summer, however, because the law doesn’t take effect until 2016. Another bill signed into law by Brown last year permits wine tasting at farmers markets. Here’s your chance to vote for the best burger in Pasadena for the Summer of 2015. Details are coming in but Nissan has settled a class action lawsuit where Nissan was accused of misrepresenting claims of mileage range and capacity on batteries. Nissan will no longer have the option to repair a battery pack that shows less than nine “bars” of indicated capacity on the dashboard gauge. Instead, it will have to replace those packs with updated versions identical to those used in the 2015 Leaf, which use a newer and more heat-tolerant cell chemistry. Nissan will also provide 90 days of free access to DC fast-charging through its EZ Charge card program.